Hummus is a perennial favourite! With this ridiculously easy recipe making Hummus is a pleasure. This very tasty and creamy dish goes with almost everything though traditionally it is served with Pita bread. I have used it as a dip and as a spread on bread, roti, and parathas. Rich in proteins, it’s a very healthy dish to have on your menu. Soak Chickpeas for about 8 hours (or overnight for best results). When they are soaked through cook them with bay leaves, come salt and unpeeled garlic cloves. You can use a pressure cooker to cook these, it takes about 20 min to cook in a pressure cooker. Take out the cooked chickpeas, discard the bay leaf. Remove the garlic cloves, peel and set aside. Drain the chickpeas reserving the cooking liquid. In a food processor, puree the chickpeas with 4 Tbsp Olive oil, all the garlic cloves and about 1/2 cup of the cooking liquid. 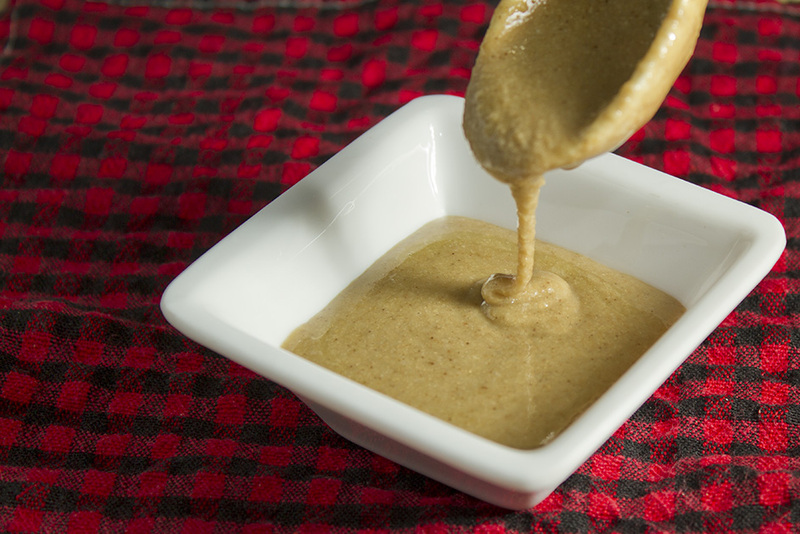 Puree it for 20 seconds and then add the cumin, 4-5 Tbsp Tahini and 4 Tbsp lemon juice along with salt (if needed). Puree to a smooth consistency. Stir the contents a bit and continue the process. You might also need more of the cooking water or just plain water (You can make a variation by adding yogurt). Taste for salt and flavours. 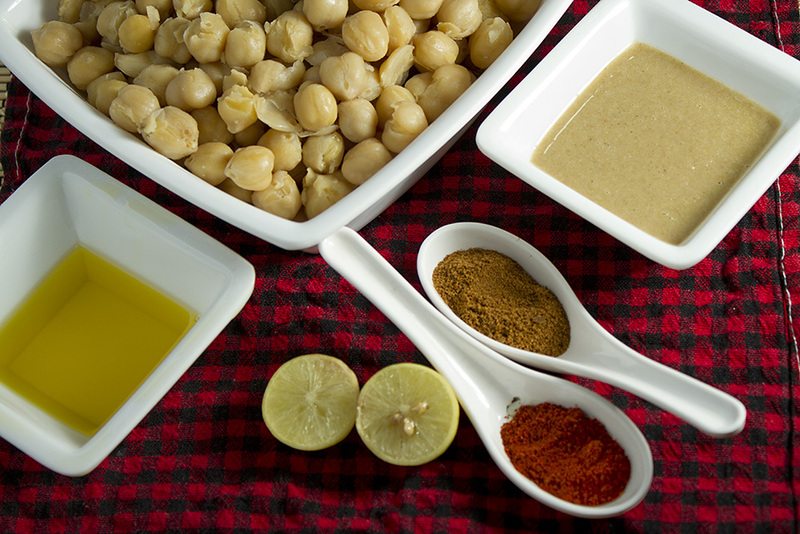 To Prepare the Tahini for garnish remember to use the same food processor bowl without washing it so that it incorporates the chickpeas mixture leftovers and adds to the flavours. Transfer it to a serving bowl, garnish it with Tahini mixture, a bit of olive oil, red chilli powder, roasted cumin powder and fresh parsley. I have often heard people debate about origins of Hummus. Some say it is Greek, some insist on it being Middle Eastern. Did some research and found out that Hummus, in most likelihood originated in ancient Egypt. Well, wherever it originated, they did give us one terrific dish. 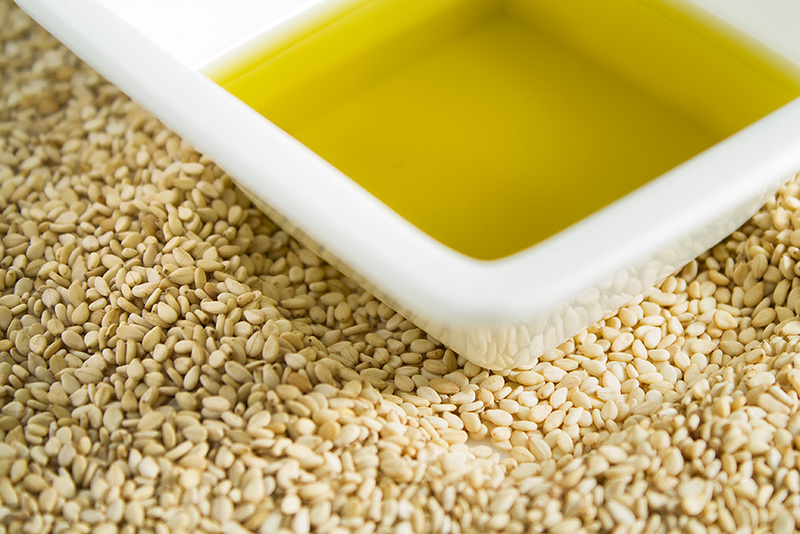 Tahini should be thick and yet have a pouring consistency. Hummus Ingredients: Chickpeas (boiled with garlic and a bay leaf), Olive oil, Tahini, Red chilli powder, Roasted Cumin Powder and Lime juice. Swati…..another bit of information …… a very popular Middle Eastern restaurant in NYC, famous for it’s creamy hummus let out it’s secret ….. the junior apprentices are give the un-envious work of peeling the boiled cholas. They discard the skin, and only puree the inside. That way they get absolutely creamy hummus. Thank you, Rachit. Thats an interesting piece of information.